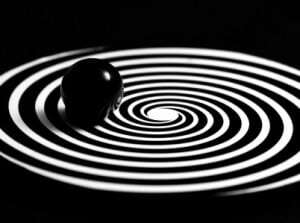 Hypnotherapy is a process where a hypnotist helps a client enter into an hypnotic trance, for therapeutic purposes. 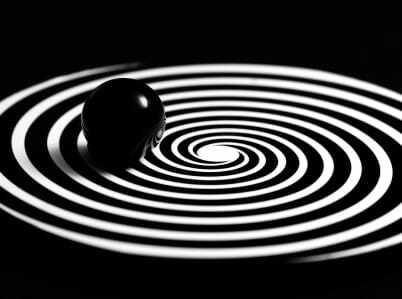 An hypnotic trance is much like the state of daydreaming (in fact daydreaming is an hypnotic state); you are still present and conscious, yet at the same time ‘absent’ and preoccupied within your own mind. It is an inwardly oriented experience of profound relaxation of body and mind, which allows you to access resources at levels of consciousness which are not readily available in a normally awake state. Hypnotherapy will at no time make you lose consciousness, or lose control of yourself. The hypnotherapist cannot control you, or make you do something you don’t want to do, or reveal something you don’t want to reveal. You will at all times be aware of where you are, and what you are doing, and you will only go along with suggestions that are compatible with your needs and your ethics. Hypnotherapy is commonly used for overcoming sleep [*] and relaxation problems, to dispel fears, anxieties and phobias, to increase concentration and motivation for achieving goals like giving up smoking and similar. Hypnotherapy is also used for bringing forth material from deeper levels of consciousness, e.g. memories of experiences which may have been buried or lost in the course of time. Such material may then be dealt with, either by means of further hypnotherapy processing or by means of other forms of therapy. Integrating hypnotherapy with other forms of psychotherapy often leads to deeper-reaching, more long-lasting effects and results, than simply using hypnotherapy on its own. treatment program is available, which is at least as effective as sleeping medication. Visit Relax-the-Mind Sleep Therapy for more information! Good subjects for hypnosis are people who have an ability for ‘imaginative involvement’, i.e. the ability to lose themselves in daydreaming, or to become completely absorbed when reading a book, or engrossed in artistic or sporting activities. As with all other skills and abilities, some people are naturally good at entering a trance state, whereas others need more practise before it becomes easy. In a sense all hypnosis is self-hypnosis, because in the same way that no one else can put you into daydreaming, no one else can put you into an hypnotic trance. What the hypnoterapist does, is to provide you with the input that enables you to let yourself enter into a state of hypnotic trance – if you so wish and choose. While you may certainly experiment with self-hypnosis to achieve your goals, the value of the guidance from an experienced hypnotherapist can never be underestimated. Experience is what allows the therapist to recognise which path of therapy will produce the desired results with the least degree of difficulty, and with lasting effects. Make an appointment for hypnotherapy now! Alternatively, if you wish to explore the self-therapy option before you make an appointment to see an experienced hypnotherapist, various kinds of hypnosis materials are available for purchase and download here: Hypnosis Downloads.